What? A long-established annual horse race; the equivalent of the UK’s ‘Epsom Oaks’. 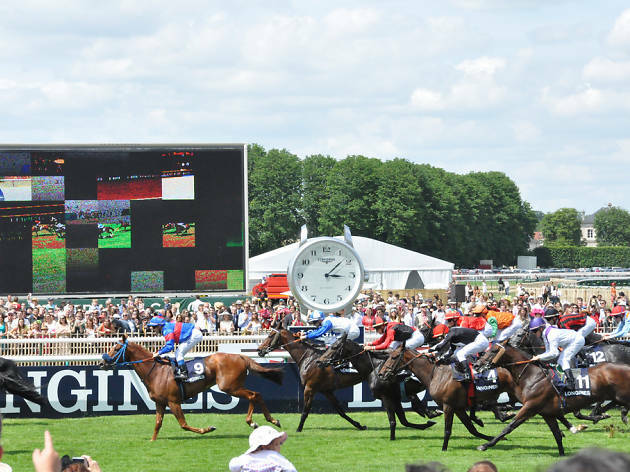 Also known as the ‘French Oaks’, the Prix de Diane – taking place this year on Sunday June 19 – is one of the most popular annual events in the French horseracing calendar. 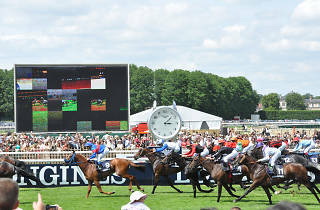 A day-long 2.1km flat horse race event that now engulfs the surrounds of Hippodrome de Chantilly, the contest dates back to 1843, when it was first intended only for French-bred horses. Now open to any fit and ready three-year-old thoroughbread fillies, the Prix inevitably attracts an elegant and well-heeled crowd, there to be seen as much as to enjoy the action themselves. The racetrack will be open from 11am this year, while the extensive on-the-day programme will feature a one-off concert from French indie folk duo Brigitte and the yearly ‘Mademoiselle Diane’ beauty contest. Visitors can also make the most of a makeshift explorable ‘village’ and an array of chic picnic food.